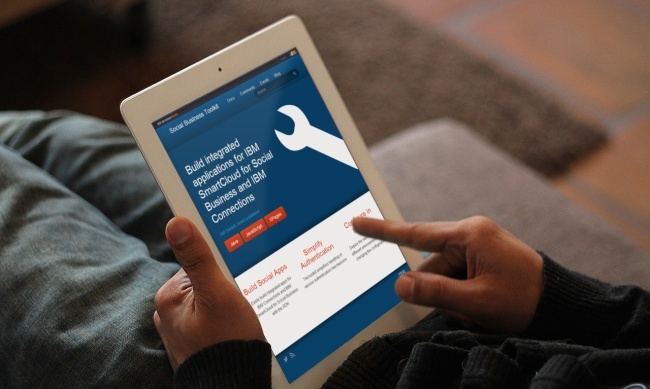 IBM has created a new landing page for developers who are using or want to start using the IBM Social Business Toolkit. Today, in time for IBM Innovate, IBM is announcing and launching a first version of this web site. Our plan is to extend and improve this site over time. Visit the new page: ibmdw.net/social. The new page also contains the Social Business Toolkit Blog. This new blog replaces the existing blog in the Connections community. The new landing page will replace over time the current Social Business development page. On the events page you can find all currently planned Social Business Toolkit related events as well as recordings of previous events. The documentation page contains links to key documentation in our various Wikis, esp. the API and extensibility documentation. Last but not least the community page describes other websites and communities that are used by Social Business Toolkit developers. For example we encourage developers to use StackOverflow for questions, the SDK and samples are available as open source on OpenNTF and GitHub and news can be read on Collaboration Today. There is also a new YouTube channel with Social Busines Toolkit related videos and in order to find out about latest activities follow us on Twitter. A big thank you goes to my colleague Steve Kuan for creating the design and to several colleagues from the IBM developerWorks team for providing the new infrastructure for this site.